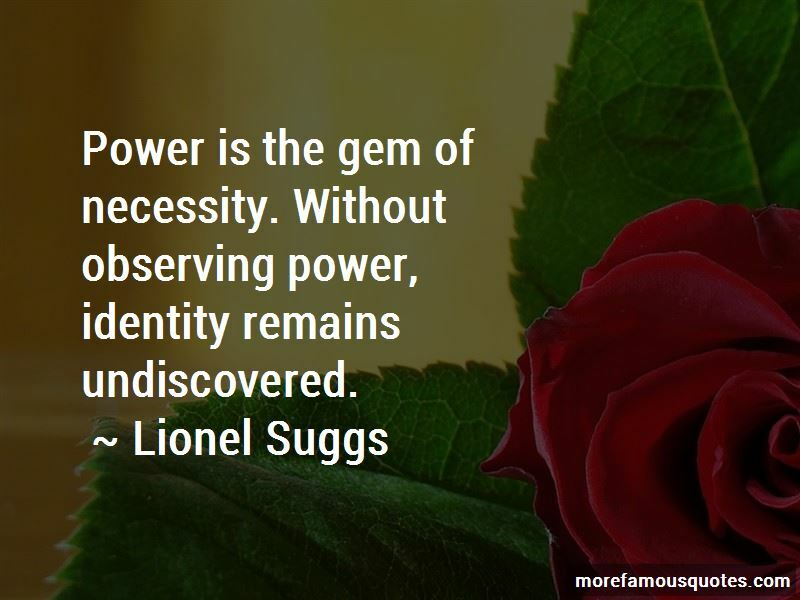 Enjoy the top 220 famous quotes, sayings and quotations by Lionel Suggs. Happiness is a color that you can never run out of. You can paint a picture or an illusion with happiness. It's a color that you always pick, before actually choosing a color. Remember, faith is the harbinger of chaos. When a black cat crosses your path, follow it. Understand the knowable unknown. A fundamental error that I have noticed within a lot of independent women, is that by default, they must succeed. If not, their self-reflection in stagnation will overcome them. In striving to succeed immediately, they have failed successfully, and have fallen into the ocean of persistence and fluctuation. But it's not all in vain, for hope is a returning daydream. Unknown to them, their opposite is merely sleeping with time, awaiting the impending song of daybreak's bell. I would rather look the Devil in his eyes, than for him to sneak up on me. Isn't it funny how true peace describes war and chaos? If you drop assumptions, and can anticipate the possibilities, you can master the art of strategy. However, if you can only manipulate probability, you can only create a path to victory. But remember, plans can break down. The future is always a step ahead of you. The key is being able to manipulate probability and plan for uncertainty. This way, you don't have to create a path to victory, but manipulate all options so that all paths lead to a victory. A true genius is my brother, for his ability to measure and adapt his imagination to knowledge is unbounded. He can turn laziness into tactics. He can drop tactics for strategy without anyone or anything realizing it. 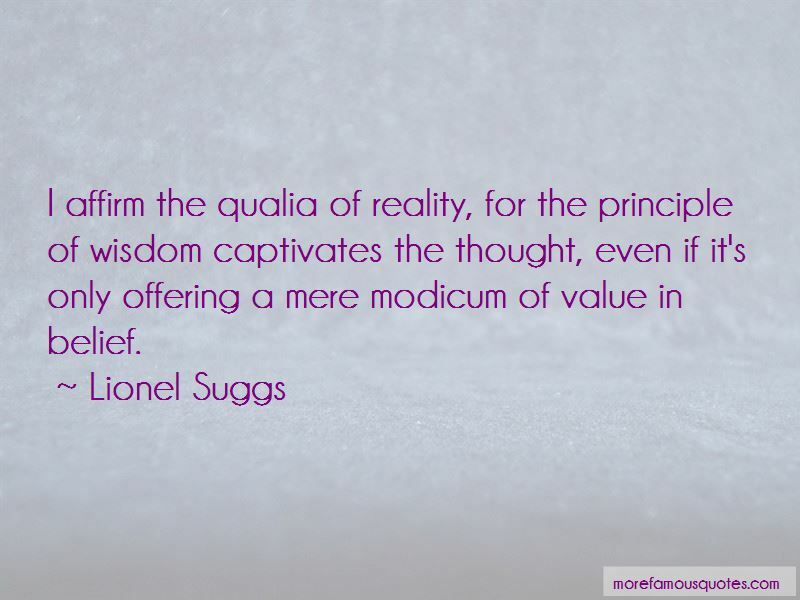 He can comprehend grand principles of creation effortlessly and flawlessly. His capacity for knowledge surpasses even my own, and it's not because he constantly takes steps forward. It's because he has unconsciously taught himself to understand the principles behind possibility and nothingness. That is a true genius. Is apathy not the nature of God? Making an effort can be equated to not doing anything at all. You don't make an effort to walk, you just walk. It's the same with winning. You don't make an effort to win, you just do it. Imagination can create lies that duals truths. When your conscious and subconscious are at symmetry with each other, intuition plays little to no role in your decisions. Everything becomes blurry, because you are finally starting to drift away from the picture that the world wants you to see. People thank God when God no longer sits on the throne. The angels descend down to deliver miracles because they are trying to maintain the face of God. In the end, you must place your hopes and prayers with the angels. It has become quite sad in Heaven without its puppet master. 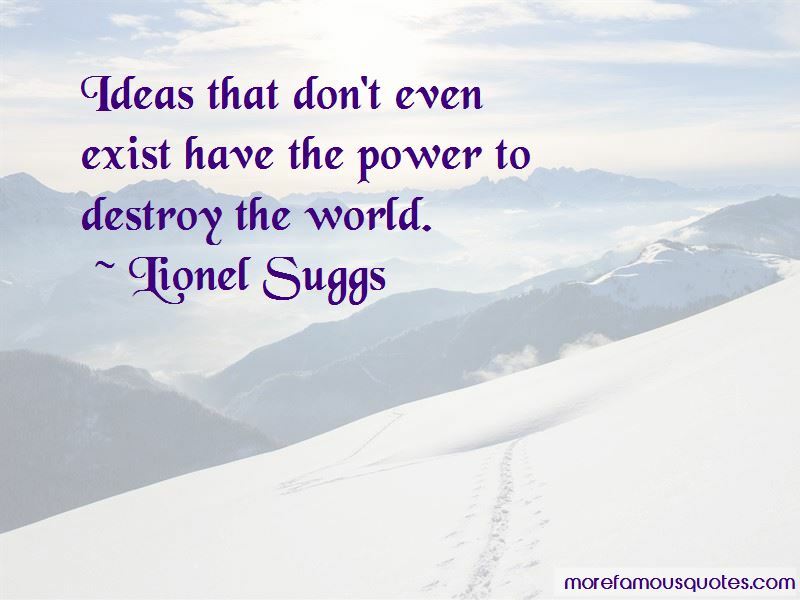 Want to see more pictures of Lionel Suggs quotes? 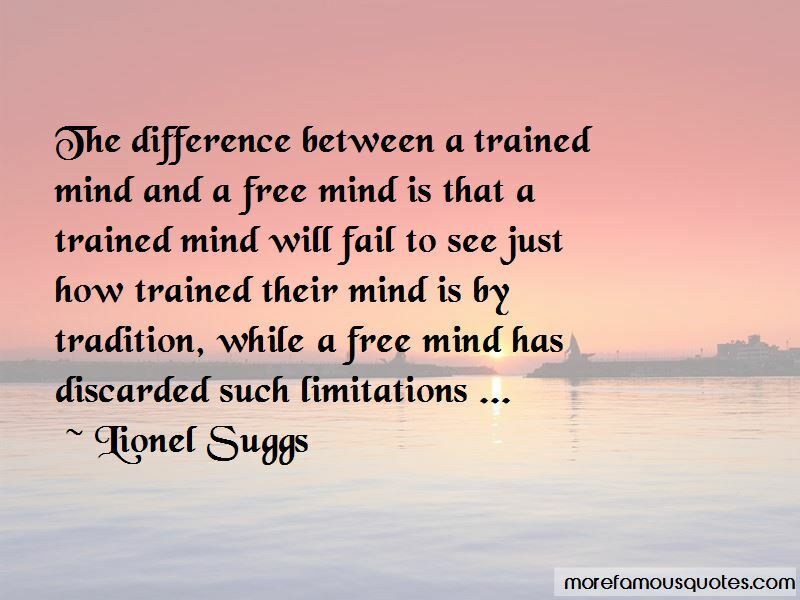 Click on image of Lionel Suggs quotes to view full size.